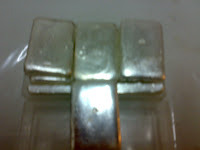 Gold and silver are like blood brothers – generally in sync with each other and tending to move in the same direction. The relationship is such that there’s even an indicator that measures it – the gold/silver ratio. Many investors use the ratio to spot extremes in the pricing of either precious metal, and to spot trends, whether up or down. With gold at $1,191 and silver at $18.63, the ratio currently sits at 64:1 – well above its one-year low from September. But in 2008, the ratio hit 84:1 before retreating. With individual investors and central banks still buying gold, its meteoric rise shows few signs of stopping… at least for now. As a result, the gold/silver ratio suggests that silver has some catching up to do.